A couple of times recently I’ve read about pharma executives wondering out loud why their companies get such a bad rap — you know, what with all the good work they do, saving lives and all. The short answer is: we’d give you more credit if you would just stop distracting us by doing blatantly unethical things. 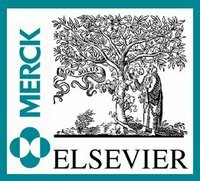 Pharmaceutical powerhouse Merck & Co. recently paid the Australian branch of Elsevier, a company that publishes a wide range of scholarly journals, to put together a bogus journal for them. This is bad behaviour on the part of both companies. No one is really all that surprised about Merck, I take it. But Elsevier should know better. Physician & columnist, Ben Goldacre, has this nice summary of the situation: Elsevier get into fanzines. But this time Elsevier Australia went the whole hog: they gave Merck an entire publication to themselves, which looked like an academic journal, but in fact only contained reprinted articles, or summaries of other articles. In issue 2, for example, 9 of the 29 articles were about Vioxx, and 12 of the remaining were about another Merck drug, Fosamax. All of these articles presented positive conclusions, and some were bizarre: like a review article containing just 2 references…. In a statement to The Scientist magazine, Elsevier initially said that the company “does not today consider a compilation of reprinted articles a ‘Journal’”. I would like to expand on this statement. It was a collection of academic journal articles, published by the academic journal publisher Elsevier, in an academic journal shaped package. Perhaps if it wasn’t an academic journal they could have made this clearer in the title which, I should have mentioned, was: The Australasian Journal of Bone and Joint Medicine. Now Elsevier has retreated, and is apologizing. It has recently come to my attention that from 2000 to 2005, our Australia office published a series of sponsored article compilation publications, on behalf of pharmaceutical clients, that were made to look like journals and lacked the proper disclosures. This was an unacceptable practice, and we regret that it took place. We are currently conducting an internal review but believe this was an isolated practice from a past period in time. It does not reflect the way we operate today. Here’s some free advice for Elsevier’s “internal review,” and for every other organization that has any dealings with any of the major pharmaceutical companies: beware. This is a group of companies with a terrible, terrible track record in terms of ethics. Does that mean don’t do business with them? No, that would be silly. A publisher or an office supplies company would be crazy to not want Merck (or Lilly or GlaxoSmithKline) as a customer, and a charity would probably be crazy to not want a donation from Merck’s charitable Foundation. So go ahead, do business with them. But be careful. This way danger lies. Take precautions. Ask questions. Doubt what they say. Think twice. And if they suggest doing anything out of the ordinary, be super vigilant. Think carefully about whether you’re being used, or manipulated, or drawn into something that is going to end in scandal. Because you probably are. If you like Ben Goldacre’s blog as much as I do, take a look at his book, Bad Science. < HREF="http://www.theaustralian.news.com.au/story/0,25197,25272600-2702,00.html" REL="nofollow">Vioxx maker Merck and Co drew up doctor hit list<>So not only do they attempt to fabricate positive news, but they actively try to discredit researchers that they view as threats. The annoying thing is we can’t even boycott companies like this as the temporary monopoly we grant them means we can’t go elsewhere for life-saving drugs. Several years ago, while working for big pharma in the USA, our Elsevier contact proposed pretty much the same thing to me, for the drug I was working on. [I said no.] I don’t think this is an isolated practice. Business ethics apply everywhere and can be broken everywhere – it’s not unique to pharma, it’s just that the stakes are higher.